Hardscaping is the foundation that grounds your landscaping work to the rest of your property and blends it in with your home. GreenEarth Landscape Services offers a full range of residential hardscape landscaping services to complete your outdoor living environment. An impressive landscape begins at the curb, which means there’s no better place to start your residential hardscape construction than with a well-designed, well-built driveway. We can also help you create walkways that connect your driveway to your front door or lead throughout different areas of your landscape. From basic concrete to elaborate brickwork or pavers, GreenEarth Landscape Services’ hardscape landscaping designers will help you create a custom-designed driveway that offers endless curb appeal and an aesthetically pleasing approach to your home. And, of course, no landscape is complete without a patio that suits your outdoor living needs. Are you creating a space to entertain guests? A spot for an outdoor kitchen and dining area? 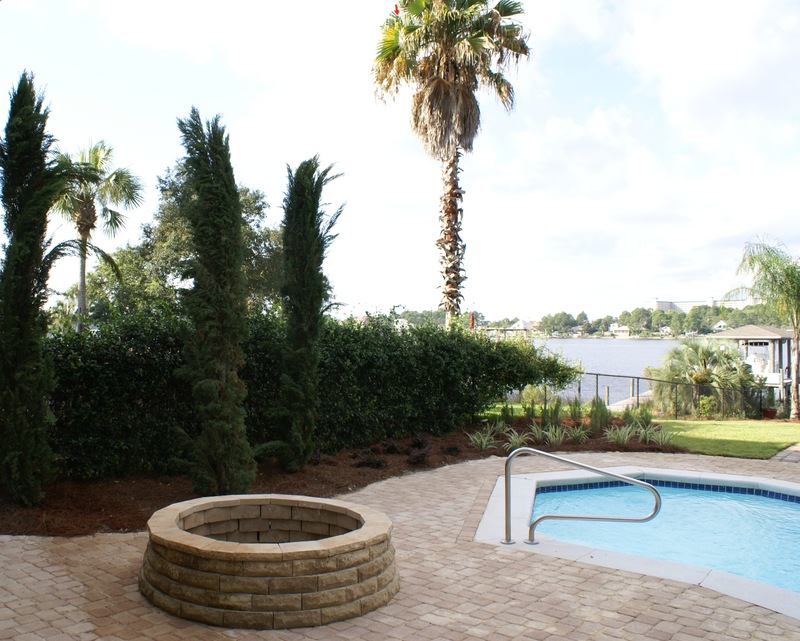 An area to lounge and enjoy conversations around a fire pit? GreenEarth’s hardscaping experts will help you design and build the patio of your dreams and be with you through every step of your residential hardscape construction process, from the first drawing to finish — and keep the price tag within your reach. Ready to discuss your landscape construction needs? You can reach our Panama City Beach office at(850) 236-1959 or our Santa Rosa Beach office at (850) 267-0010. Or, you can fill out our handy online form to schedule a free consultation. You can also download our helpful Landscape Planning Guide and dig deeper into some hardscaping inspiration. Download it by clicking the image below.